The match-three game takes players on a tour of Disney Parks and Resorts. 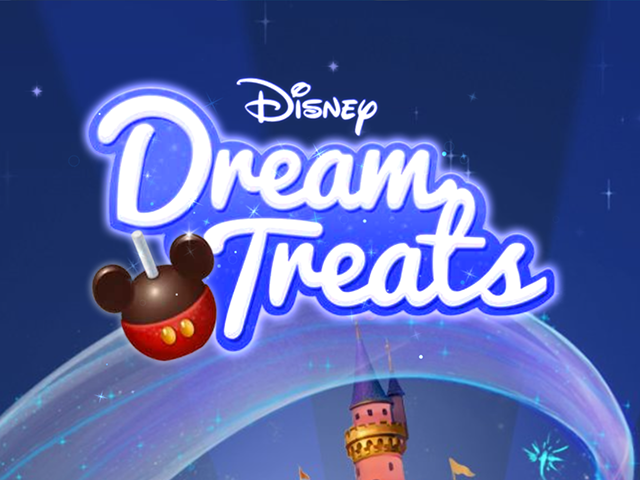 Disney Interactive has announced the launch of Disney Dream Treats on mobile devices. The match-three puzzle game was created by Crazy Kitchen developer Zindagi Games, and takes players on a tour of Disney Parks and Resorts, where they’ll interact with popular characters from the Disney and Disney Pixar universes, including Mickey, Minnie, Ariel, Belle, Buzz Lightyear, Woody and more. Before jumping into the first level of Disney Dream Treats, players can create an avatar by selecting their gender and adding a picture of their face (either taking a selfie or uploading a picture from their camera roll). After creating an avatar, users must select their starting location from three options: Disneyland, Walt Disney World or Disneyland Paris. In each level, players visit a restaurant in one of the Disney Parks and Resorts, and must draw lines to connect three or more matching treat symbols and remove them from the board. Each level has a different goal, like serving guests their favorite treats, with the current required treat(s) pictured at the top of the screen, as one example. In other stages, players are asked to clear wrappers from the board by making matches on top of them, and so on. As players clear lines of five or more treats, they create bonus symbols, which may clear whole rows or columns of treats from the board when used in future lines. In addition, if players draw lines that form a complete loop, they will also collect nearby symbols automatically. Additional power-ups are available for use during stages, and include things like a hammer for removing a group of symbols, or a whisk for shuffling the symbols on the board, among others. Each Disney character also offers its own power-up. Each power-up is unlocked as players reach a specific level. Players have a limited number of moves to complete each stage, and will receive up to three stars on each level, depending on their high score. If gamers fail to complete a stage before running out of moves, they lose a life. These recharge automatically over time, or can be purchased with premium currency. Users can also ask their Facebook friends for free lives. For additional social features, players can create separate in-game avatars using their friends’ pictures, with these avatars appearing alongside their own avatar in stages (gamers can spend premium currency on new outfits for their avatars). In addition, as players clear certain stages, they’ll receive Disney souvenirs, which place avatars in scenes with Disney and Disney Pixar characters. These souvenir images can be shared to social media or saved to the camera roll. Players can also compare their scores with those of their Facebook friends on level-specific leaderboards. Disney Dream Treats is available to download for free on the iTunes App Store, Google Play, Windows Phone Store and Amazon Appstore.